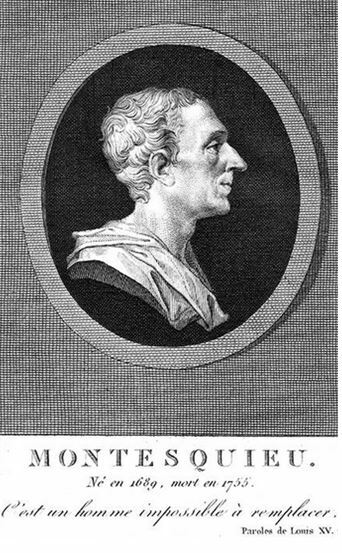 History's EHRC, in collaboration with the Warwick Law School and PAIS held four reading groups/master-classes on aspects of the work of Charles-Louis Secondat, Baron de Montesquieu (1689-1755), exploring some of the central themes in Montesquieu's political, legal and economic philosophy. 5-7pm, 26 April Room Wolfson Exchange 1 – Library, Professor Celine Spector (Bordeaux). 5-7pm, 3 May Room S0.09, Professor Michael Lobban (LSE). 5-7pm, 10 May Room S0.09, Dr James Harris (St Andrews). Henry Home, Lord Kames, Historical Law-Tracts, 4th edn (1792):Preface; Tract I (‘Criminal Law’); Tract III (‘Property’). 5-7pm, 16 May Room Wolfson Exchange 1 - Library, Professor Paul Rahe, (Hillsdale). However, we recommend the David Lowenthal edition of the Grandeur as a better translation and over-all text - published by Hackett.